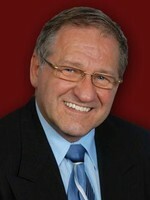 Jerry Fink, is Your Real Estate Expert Specializing in Howard Beach, Lindenwood, Ozone Park, Queens, and Long Island. Jerry, Broker/owner of Jerry Fink Real Estate, guarantees 100% satisfaction for buyers and sellers. He has an impressive record as the top producer for the last 6 years and sold over 20 million in Real Estate in 2004. Jerry is a veteran of the real estate industry with 15 years of experience. Including Mortgage brokering as well as being a Realtor. Relocating in 1997, he is also a long-time resident of the Howard Beach area. Jerry loves Howard Beach and can share his enthusiasm and knowledge of the city, its people and its attractions with potential buyers. Jerry also possesses strong negotiation skills, which ensures that his clients always get the best results for their time and effort. His expansive knowledge of all aspects of business and real estate gives his buyers and sellers a distinct advantage. Jerry also offers reliability, integrity and superior customer service to every client. His impressive 90% rate of repeat and referral business communicates the fact that his clients are more than pleased with their real estate transactions. Jerry specializes in single and multi-family homes, first-time buyers, move-up buyers new homes and commercial real estaste. For all of your real estate needs, you can count on Jerry to deliver!